Since Jan 2018 Consultant for Beyer Family Law, London. Nov 2009-Dec 2017 Consultant for Elizabeth Muirhead Solicitors, family law, London. Mar 2008-Jun 2009 Assistant to Anne-Marie Hutchinson OBE at Dawson Cornwell, family law, London. Jan 2006-Jul 2006 Internship with Michael Nicholls QC, Barrister at One Hare Court, family law, London. Nov 2004-Jan 2006 Associate Lawyer at Béatrice Weiss-Gout and associes, family law, Paris. May 2004-Jul 2004 Internship with Sir Justice Peter Singer, the High Court, family law, London. Oct 2001-Sept 2003 Justice Assistant for Mrs Mondane Colcombet, President in the family law division of the Court of Appeal, Paris. 2004 CAPA equivalent to the LPC/ BVC, Paris (Avocat). 2003 Achieved eligibility for Entry into the National School for Judges (ENM). 2002 Admission for Entry into the Paris Bar School. 2001 DESS, Post-Graduate study, equivalent to an LLM in Litigation, Arbitration and Alternative Dispute Resolution, University Paris II Assas. 2000 Masters degree in Law, with Honours, University Paris II Assas. 1999 Bachelor’s degree in Law, with Honours, University Dijon (Burgundy). Member of Franco-British Lawyers Society. Member of Institut du droit de la famille et du patrimoine. Adviser for “the consultations gratuites”, a legal advice centre in Islington. I am qualified in both France and England. I first gained my expertise in France. After my post graduate study in alternative dispute resolution in 2001 I was the Justice Assistant of a President in the family law division of the Court of Appeal in Paris. I gained valuable experience in ruling and explaining the reasons for a decision. I have been registered on the Paris French roll since 2005. 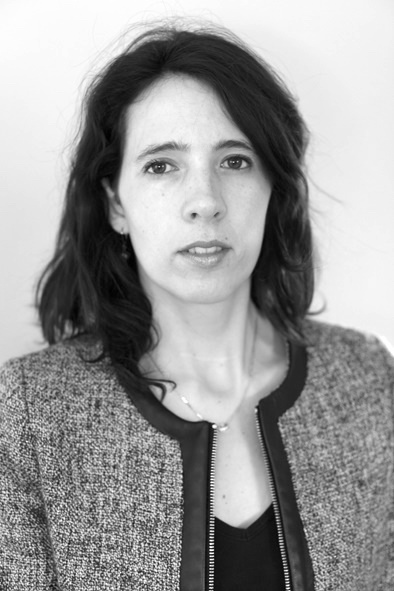 I trained in Paris with Veronique Chauveau, an expert in international family law and I was then an associate lawyer for BWG and partners, a family law firm in Paris. I moved to London in 2006 and while starting my English training I carried on working on French matters. In England I first worked with Michael Nicholls at One Hare Court chambers in international children matters. I was then the associate of Anne-Marie Hutchinson OBE at Dawson Cornwell, a law firm specialising in international family matters. I was admitted on the English roll of Solicitors in 2009. I was Elizabeth Muirhead's consultant between 2009 and 2017 and worked on all aspects of Family Law. Since January 2018 I am a consultant for Beyer Family Law, an international family law niche firm. We advise German and French clients. I also represent French clients in front of the French courts. I am also a mediator and I mediate in French language all issues relating to divorce separation and children arrangements.